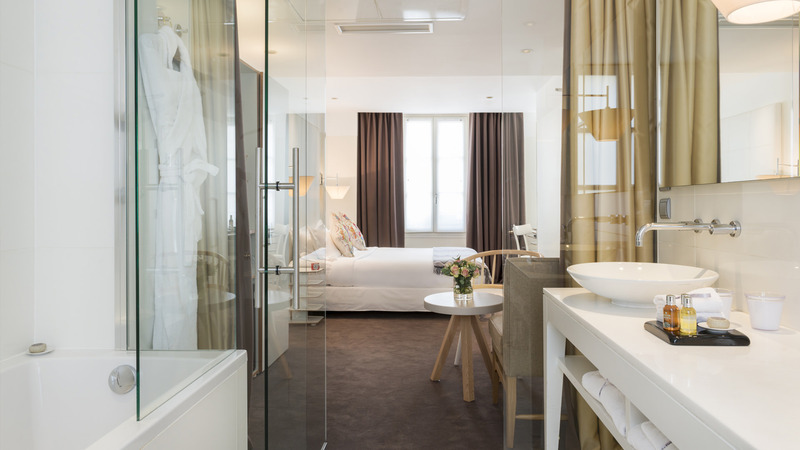 Welcome to Le Placide, a luxurious setting in the heart of Saint-Germain in Paris. 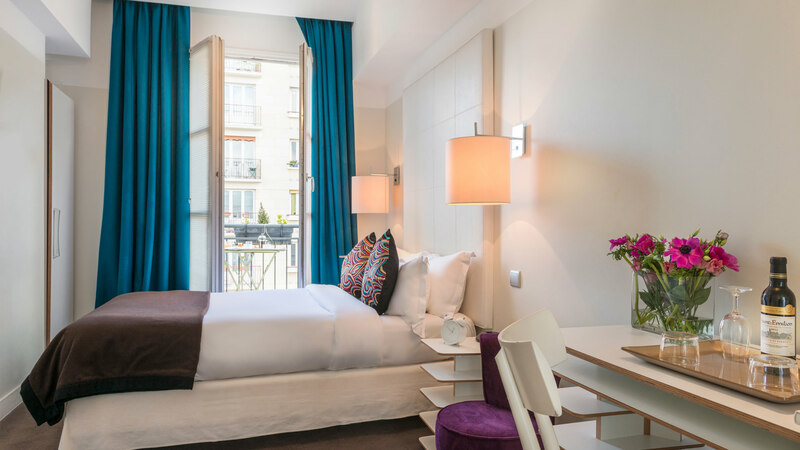 Pied-à-terre on the Rive Gauche, the Le Placide design hotel invites you to share in an unexpected experience in a place where lights, colours and materials create elegant and stylish atmospheres in a bold, contemporary, intimate and warm setting. 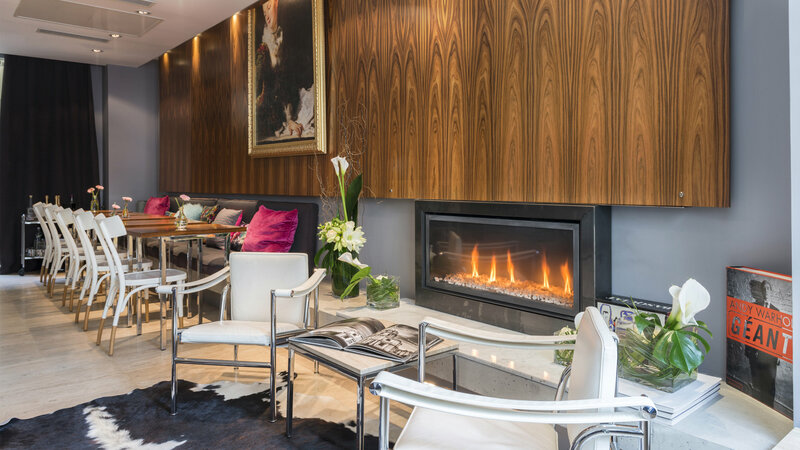 Stay in the privacy of your own haven of peace in the heart of Saint-Germain in Paris and enjoy this remarkable area that embodies Parisian elegance, intellectual and cultural effervescence and the bohemian and romantic spirit of the "City of Lights". A former family home, this exclusive hotel combines the charm of a late 19th century house and a positive contemporary setting. 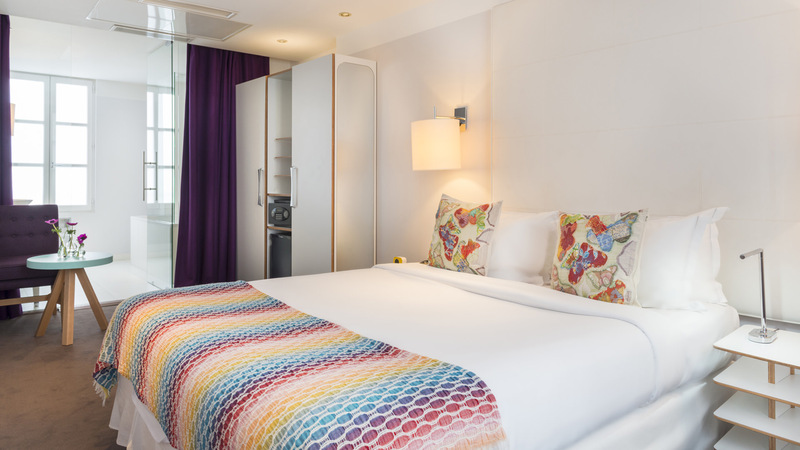 Le Placide's decor, which was specially designed for those in love with charm as much as the "art de vivre", was created by decorator Bruno Borrione, the loyal collaborator of Philippe Starck, who decorated the Jardin des Sens Hotel created by the Pourcel brothers. A nice break in the heart of Paris! We loved this chic and elegant place, its discreet and simple facade, which reveals the perfectly designed decor! The staff is both efficient and discreet! 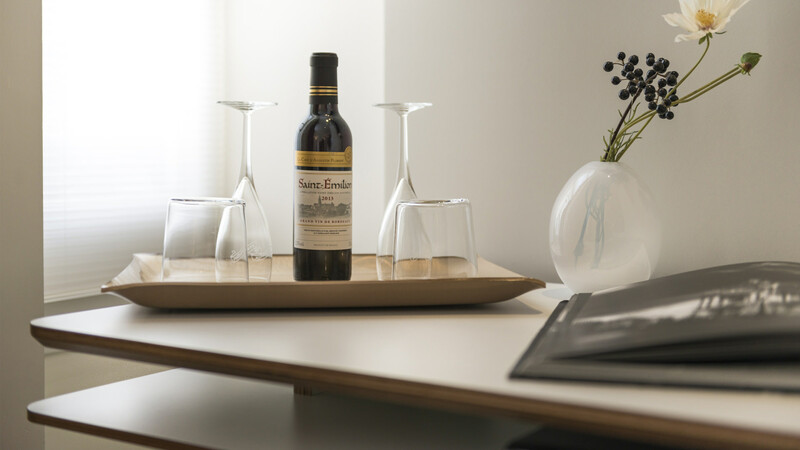 A beautiful, quiet and intimate place, ideal for a great weekend! 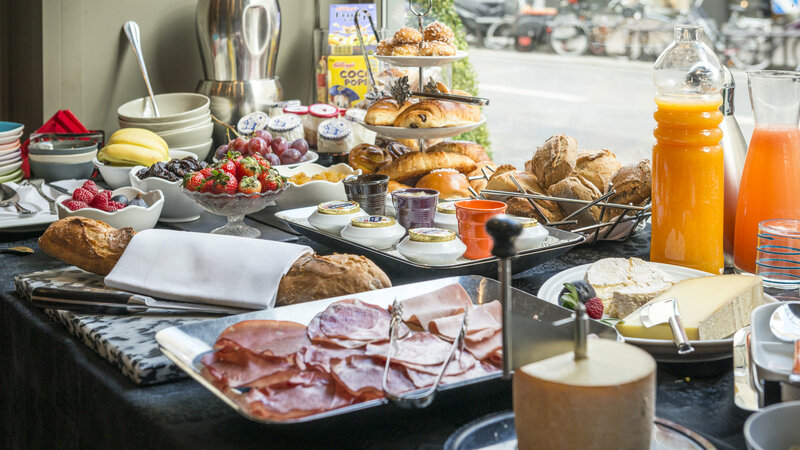 Nestled in the heart of Saint-Germain-des-Prés opposite the Bon Marché Rive Gauche, the 4-star Hotel Le Placide is conveniently located near Paris' main tourist attractions.